AUSTIN, Texas (AP) — The publisher of The New York Times said Tuesday that the newspaper's decision to run an anonymous opinion piece criticizing President Donald Trump's leadership "added to the public understanding of this administration and the actions and beliefs of the people within it." 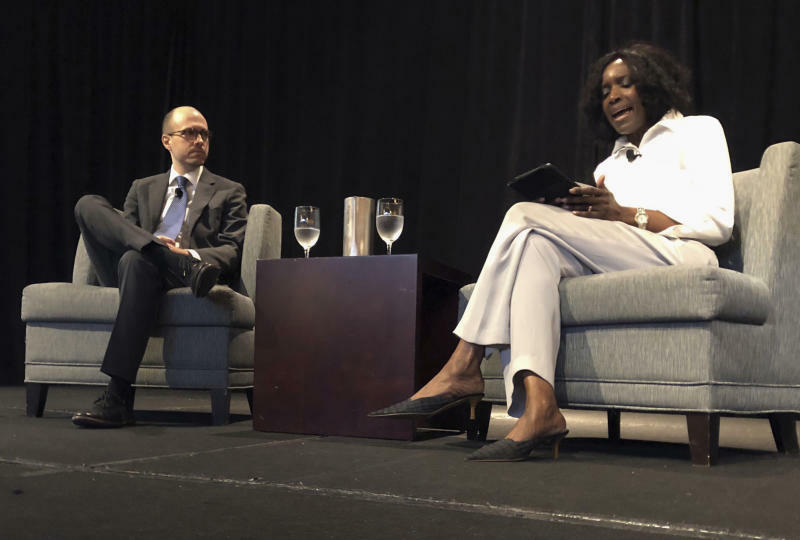 Publisher A.G. Sulzberger defended running the op-ed to a gathering of U.S. news leaders in Austin, Texas. He provided no clues about the author, whom the Times identified as a senior administration official. The author professed to be a member of a "quiet resistance within the administration" that was straining to thwart Trump's "more misguided impulses." Trump fumed after the piece was published last week, saying the newspaper should turn over the author's name and calling on the U.S. Justice Department to investigate and unmask the person. Sulzberger said the newspaper believed the piece crossed the threshold for using an anonymous source. "We didn't think there was any way to make that contribution without some guarantee of anonymity," Sulzberger said. "And I think the president's actions since the release of this piece have underscored exactly why we felt that was so important." The op-ed coincided with veteran journalist Bob Woodward's new book "Fear." The explosive narrative of Trump's turbulent 18 months in office relies on comments described by sources Woodward doesn't name. Sulzberger said the timing of the opinion piece and excerpts of Woodward's book coming out were coincidental. Trump called the author "GUTLESS" on Twitter. Trump cited "national security" as the reason U.S. Attorney General Jeff Sessions should investigate. He also said he was exploring bringing legal action against the newspaper. A White House official later said Trump's call for a government investigation was an expression of his frustration with the essay, not an order for federal prosecutors to take the extraordinary action. Granting anonymity for such a piece is unusual but not unprecedented. Some journalists have drawn comparisons to protecting a source with anonymity in news stories. James Dao, the Times' op-ed editor, told a Times reporter that the piece was submitted through an intermediary, and anonymity wasn't granted until editors were confident in the writer's identity. In July, Sulzberger and Trump had an off-the-record meeting that became public after the president tweeted to his 53 million Twitter followers that they discussed the "vast amounts of Fake News being put out by the media & how that Fake News has morphed into phrase, 'Enemy of the People.' Sad!" Sulzberger has said that Trump's aides had requested that the July 20 meeting not be made public, but said he decided to comment after Trump's tweet. 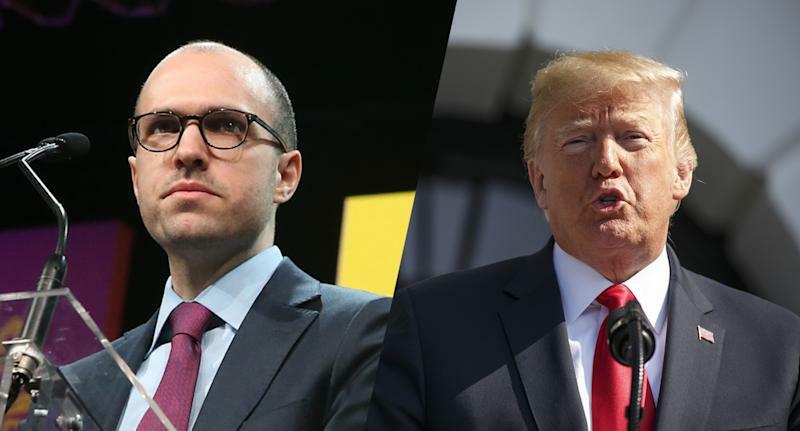 On Tuesday, Sulzberger said he felt the meeting was a chance to look Trump in the eye and raise concerns about the dangers of anti-press rhetoric. "My biggest regret when I left that meeting was that it wasn't on the record," Sulzberger said. "Because if he's not going to change his rhetoric, the biggest thing that I would hope to accomplish is to put a conversation like that on the record so that he cannot say that he was not warned if something terrible happened."